Many bloggers get their email marketing wrong because they are concentrate on the wrong thing. Instead of trying to convince people to open or read your emails, try to convince people of the quality of your blog. 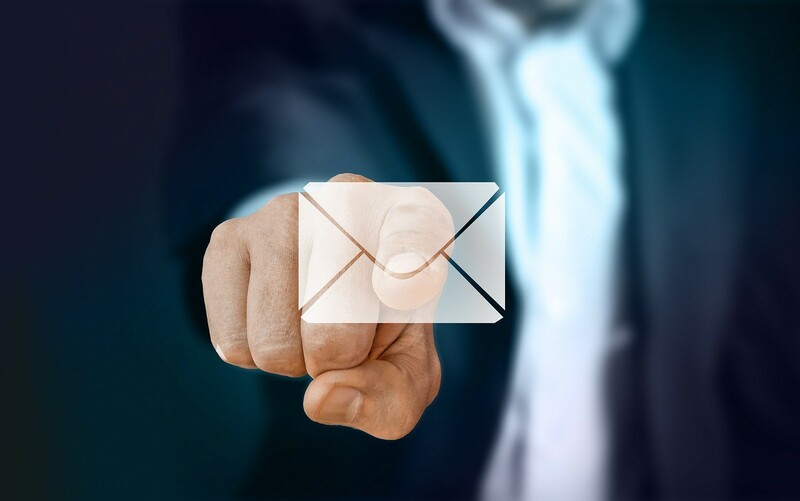 Your email marketing doesn’t have to involve any form of promotion; it can simply be a way of reminding your fans that your blog still exists and that your content is still something they are interested in. But there many do’s and don’ts for bloggers in the field of email marketing. And you In this post I am going to share some of the many tips. Some people make the mistake of sending their newsletter emails from their personal email account because it is free. It seems like a good idea at first, especially when you only have a handful of subscribers, but your email service provider will realize what you are up to and will close your account because of it. When you post on social media, such as on Google+, and when you send emails to your followers, give them a short preview of your blog post. Don’t make it too salty, such as, “You will never believe what Chris Tucker has done this time.” Make it a genuine representation of your blog post. Give people a flavor of your blog post and maybe a few points from it, but leave something back for them to be intrigued about. There is no way to keep up with which filter is doing what. For example, the Prager University sends out emails to tell people when it has a new YouTube video. Yet, if you receive the email in your junk folder in Outlook, then the pictures are blocked, but if it turns up in your inbox, then the pictures are not blocked. If you receive the email via Gmail, then the images are blocked except for the one that shows the YouTube video. Even if an email is in a safe list on your recipient’s email service, there is still a chance that your images will be blocked. Companies such as GOG.com add many images to their emails, and people who receive them for the first time are often presented with a page full of blocked content that they have to unblock in order to view. All of the tips in this article are good, but this one is important: you must speak to your target audience specifically when you email them. This doesn’t mean you address them by name. It means you forsake others in order to maintain your connection with your audience. For example, if you run a Star Trek blog, most people will know what you mean when you write “Beam me up Scotty” in your emails, but your fans will not like it because it is insulting to Star Trek fans. If you were to write “Make it so” in your email, then non-Star Trek fans will have no idea what you are talking about, but Star Trek fans will feel a connection to you. You have to exclude your audience at large while drawing your smaller target audience closer. Such titles/subtitles are dumb, tired, played out, and downright annoying. Most web-savvy people will simply junk your emails if they have the sort of spammy titles/subtitles that people are sick of. Be honest, open and clear about what your email contains. If people have signed up for your emails, then you don’t need to keep selling to them. People who chase followers will spend their lives running themselves tired. Do you think the cultist community that loves “Rick and Morty” or “Futurama” or classic “X-Files” has been chased by the content creators? Or, do you think people set up their own cults around these shows on their own? Marketing reports and email analytics are there for your personal amusement, and to try to track down any bugs that may be affecting your email success, such as if people are not visiting your website because your links don’t work on mobile devices. Otherwise, you need to ignore your marketing reports and your email analytics and keep producing content that your fans love. Just because some of your fans have not visited your blog recently doesn’t mean you are doing anything wrong. If you create an email schedule, then you will probably be forced to send emails when you have nothing worth saying. If you have a blog posting schedule that you stick to, then, by all means, you should create an email marketing schedule that mirrors when your blog posts are published. Otherwise, stick to sending emails when you have something worth saying. The best reason to have an email newsletter is to inform people of your newest blog posts. Make that your primary reason for offering people your newsletter. Don’t ask people to sign up and then promise them new tips every month or every week because people don’t want them. Think about it, if you were dating and you wanted to learn how to attract others, do you want an email with ten tips every week, or do you want access to a full blog full of fresh content? Sell your blog, don’t try to sell your emails. How to get rid of annoying emails in Gmail? Buying an email list is the fastest way to have your IP address blacklisted, and your email account service provider blacklisted, and your email address blacklisted. If you are going to pay for anything, then pay for guest bloggers, pay graphic designers, pay writing companies, and pay website developers, but do not buy email lists. Big data computers are so easily able to spot purchased email lists that all you are doing is investing in your failure when you buy them. Learn about double-confirmed email lists. They are also called, “Double Opt-In,” and they are the safest way to build an email list. Set it up so that when people sign up for your email list, they receive a confirmation email from you and they have to click a link to the email to activate their newsletter subscription. Not only will double opt-in/double confirmation help you maintain a safe email list, but it will also keep you on the right side of the law. Amelia White has years of experience in the field of content marketing and project management. White also loves researching new inbound advertising techniques. Email marketing is something where most of the blogger fail. Because they are not able to understand that emails are not there to spam inboxes but to deliver the best content to highly targeted audience. These are great tips for better email marketing for a blogger. Email marketing is an art. It takes time and effort to be a successful email marketer as a blogger. Here are some of the things I like to do, I don’t like using any images on my emails, I just want my subscriber to read the message I’m trying to say clearly and with no extra hassles. Also, it is very important that you use your own Email, a WebMail. This will help with the deliverabilty of your emails. I would also ask my new subscriber to add my email to their contacts list. Very informative post about Email marketing. People usually struggle writing emails because of low open rate. These tips will definitely help. As for my personal opinion I usually send emails with my own name rather than business name. It kind of feels personal and people open it. And yes I always have double opt-in for every form. cheers for this post. It helps. Hey Amelia, I found really helpful all tips here that mentioned, I am sure this will help me in future. Hey Amelia White, great article as usual!! This double opt-in option is must. It keeps your email list clean. Your mails will not get report for spam. Hence, good email deliverability. You covered all points in Email marketing.Thank you for sharing such informative post. Email marketing is a tricky thing, you have put it down very well.